Use the below booking engine to check our availability and book your stay online now! We currently have 5 letting rooms available. All of the rooms include breakfast and parking is available for up to 20 cars. Room 1 is our family room and is suitable for up to 2 adults and 2 children under the age of 12. The room is not available for 3 or more adults. The room has a king size bed, a pull out sofa bed and an ensuite with a shower over bath. 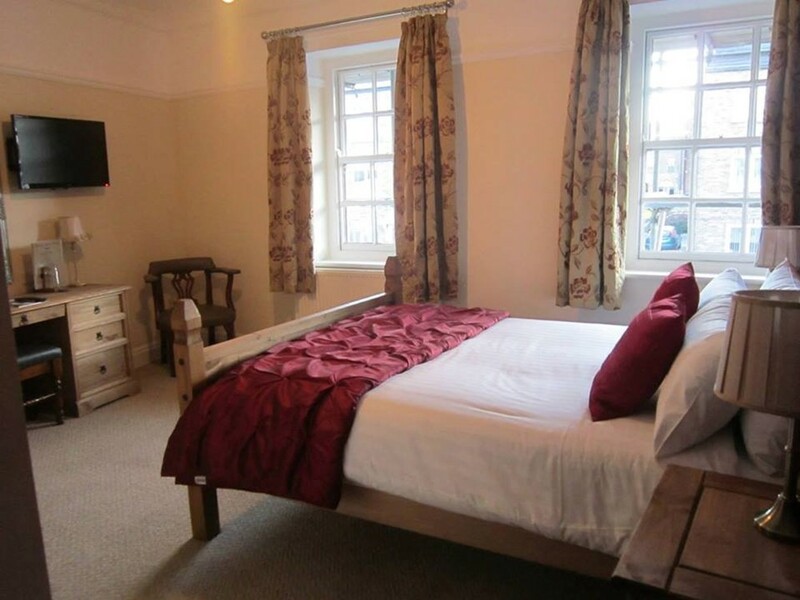 Room 2 and room 4 are our large double rooms, both have a king size bed and an ensuite with shower over bath with a maximum occupancy of 2 adults only. Room 3 is our small double room with a double bed and ensuite with a shower over bath. Lastly room 5 is our large double room with a king size bed and ensuite with shower only. All our rooms include breakfast and parking is available for up to 20 cars but not guaranteed. Guests can access the rooms via the pub during trading hours and via a private entrance after hours. We do not accept stag or hen do’s. All of our rooms are non-smoking. Any guests suspected of smoking in the room will incur a £100 fine and will be barred from the pub and hotel rooms in the future. Please bear in mind when booking that the pub was built in 1786 and is therefore a grade II listed building. Some of the fixtures and fitting – including the sash windows – cannot be altered from their original state, hence the reason they are all single glazed. Guests who call 01901 659 393 and book direct will receive a 5% discount on their booking.